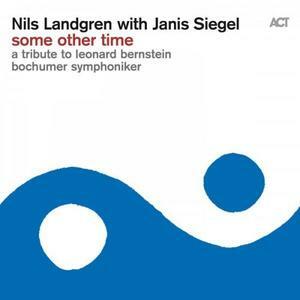 Nils Landgren Sings Ballads Diana Krall, Jane Monheit, Dee Dee Bridgewater, and Natalie Cole - these are the stars that have caused a worldwide furore with their full-blown movement back to the "standards". 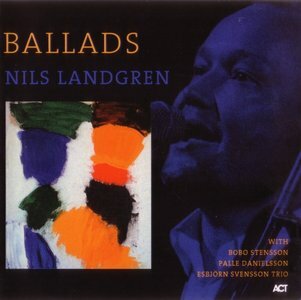 It comes as no surprise that the interpretation of the well-known ballads that make up a large portion of "The Great American Songbook" has always been considered one of the highest disciplines in jazz.At first glance Nils Landgren might seem a bit out of place in the midst of this illustrious group of women. 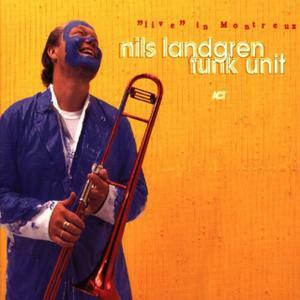 For those familiar with trombonist Nils Landgren and his Funk Unit, a band whose music is rooted in the fertile soil of Afro-American rhythm and blues and jazz, Ballads may come as a bit of a surprise, albeit a very pleasurable one. After two decades of working with some of the best players in jazz, funk, and soul jazz trombonist Nils Landgren has earned his reputation as one of the most expressive, forceful players on the international scene. His work with Thad Jones’ legendary big band as lead trombonist, and in combo settings with Jones in the early 80s certified his status as one of the leading jazz trombonists on the European scene. 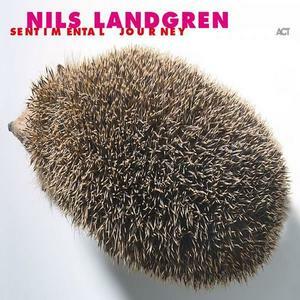 Right in time for Nils Landgren's 60th birthday celebration the most elaborate project of his unparalleled carrer will be published. This album includes the music of musiclas like "West Side Story and a phenomenal line-up, among others his All-Star band, Bochumer Symphoniker and singer Janis Siegel of the legendary "The Manhatten Transfer". Together with conductor and arranger Vince Mendoza they build a memorial for a friend of Jazz and great composer of the 20th century, Leonard Bernstein. It was through the influence of Landgren and Svensson’s former teacher Bengt-Arne Wallin, who recorded the landmark album “Old Folklore In Swedish Modern” back in 1962 (ACT 9254-2), that Svensson and Landgren were inspired to make a duo album centered around folk songs. 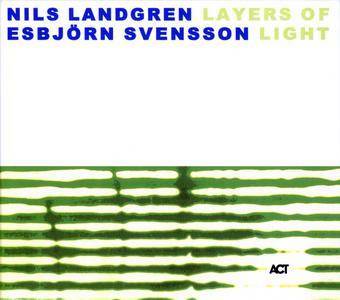 In August 1997 both went into the studio and with only trombone and piano recorded Swedish Folk Modern (ACT 9257-2). Their improvised treatments of the classic songs of the folk culture not only impressed the public; it brought praise from the press. Christmas without the songs – it's unthinkable. And yet how can one be open to different musical styles and also strike a good balance between them? How can all the right moods for the festive season be captured? Should it be classical or soulful, gospel or pop, blues or jazz? 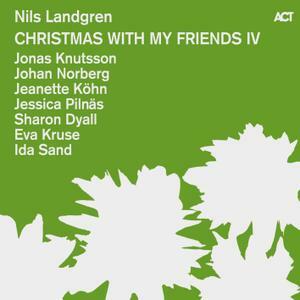 The result can often be just one style of singing from one person – but that’s not the case with Nils Landgren's "Christmas With My Friends". A sequence which would normally have had to be patched together from a wide range of interpreters is all there, and from just the one source. 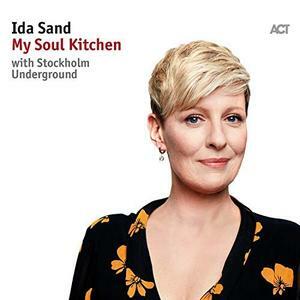 Alongside the Swedish trombonist/singer himself, there are four vocalists, Jeanette Köhn, Ida Sand, Jessica Pilnäs and Sharon Dyall, and their fundamentally different voices allow them to combine many musical genres. The way these four co-exist so harmoniously is just one of the reasons why "Christmas With My Friends" has proved to be quite so popular and successful over the past twelve years. Accompanied by Eva Kruse on bass, Johan Norberg on guitar, and saxophonist Jonas Knutsson, the ensemble reinterprets Christmas songs from all over the world and in a jazz spirit, bringing together the well-known with the less familiar, combining the cheerful with the contemplative. Right in time for Nils Landgren's 60th birthday celebration the most elaborate project of his unparalleled career will be published. This album includes the music of musicals like 'West Side Story and a phenomenal line-up, among others his All-Star band, Bochumer Symphoniker and singer Janis Siegel of the legendary 'The Manhatten Transfer'. Together with conductor and arranger Vince Mendoza they build a memorial for a friend of Jazz and great composer of the 20th century, Leonard Bernstein. Of all the great classical maestros of his generation, Leonard Bernstein was the key advocate of jazz. He was not only a profound authority on jazz music, he could also play it on the piano and used its elements when he composed. All the stranger that jazz musicians have practically never adapted Bernstein. These were the exact thoughts of ACT boss Siggi Loch who suggested to Nils Landgren that he create a tribute to the great 20th century composer. 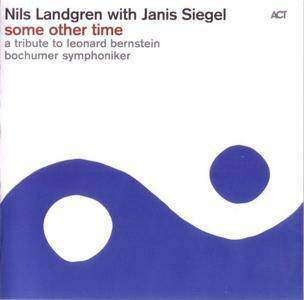 And Landgren didn t have to think twice about it: 'I have always been a fan of Bernstein…'. He put together an 'absolute dream team': the Bochum Symphony Orchestra, an exquisite jazz band, the world-class arranger Vince Mendoza and an authentic New Yorker: Janis Siegel from the legendary Manhattan Transfer. 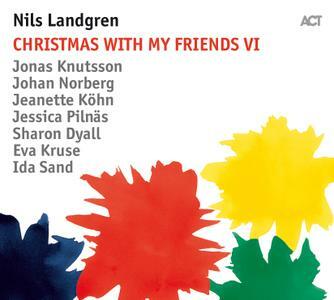 And year after year it rings out at Christmastime: Nils Landgren's 'Christmas With My Friends' ensemble is a loyal companion for the most wonderful time of the year. The fourth edition presents, yet again, a diverse selection of international, Swedish, traditional and modern carols and atmospheric secular popular songs, with the familiar hushed and intimate mood we have come to know and love.